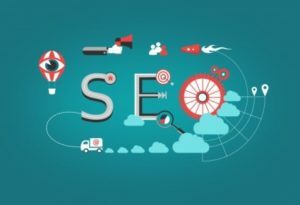 Before you can produce effective SEO content writing it is first important to understand what SEO copy writing is and how it can help your websites success. For your website to rank highly and be seen by more people, search engine optimisation (SEO) is essential. Therefore, you should take the time to understand it as much as possible. How many times the keyword (or search term) appears in the content. If the content is 100% original and unique. How relevant this search term is to your goods/services and your website. How do I know what keywords I need to include? You should always research keywords. Here you can determine which keywords or phrases will most likely be typed into a search engine by a customer is looking for your goods/services. If you are unsure there are websites that can help you to determine what your keywords should be. Moreover, you can utilise websites that tell you how many times a specific keyword has been searched to see the most popular, Google, is the perhaps the best source. It is important to include relevant, definitive and appropriate keywords to attract the right audience. You will need to produce a few keyword lists. One for the overall website and separate keyword lists for pages of the website you want to direct customers to. You can use these lists to create the SEO content writing for your website. Alternatively use a professional keyword research company. How can SEO copy writing make my website/business more successful? When a user searches a keyword, they will be shown two different sets of results. The first they will see are paid advertisements. The second, and more significant, results they will see are the organic search results, i.e. sites that the search engine has determined includes the keyword and is relevant. By using search engine optimisation in your copy writing, you rank higher in organic search results and usually save money. Your high ranking website will be seen by more people, therefore increasing visitors and potentially customers. These are just five of the many benefits, read this interesting post by Lyfe Marketing for more. SEO copy writing isn’t easy. It can be tricky to include keywords, while ensuring the writing is relevant, has purpose and flows well. This is why so many people choose to hire a professional SEO copy writing service to write it for them. Therefore, ensuring the copy writing has maximum impact, increasing website ranking and the number of visitors to the site. At Lisa Thomas Writing Services, I provide this high quality SEO copy writing service, at affordable prices. To gain more visitors to your site and strengthen your business and brand, appoint a professional SEO content writing service. Or for more information about SEO Content Writing for your business, contact me now.